Do No Harm. All medical students learn this most central tenet when training to be physicians. Yet in medicine, as in many fields, choices are regularly made in which risks must be weighed against beneficial effects. 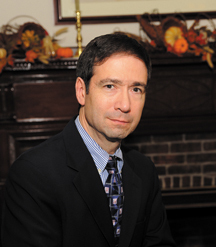 Whether balancing treatment options with potential side-effects, such as in cancer drugs or life saving surgeries, or considering purely elective lifestyle enhancing procedures such as cosmetic surgery or laser vision correction, doctors and patients must have a careful and frank discussion of risks, benefits, and alternatives. In ophthalmology, new technologies have opened up a world of possibilities, but also complex decisions, which require careful discussion and a close doctor-patient relationship. New techniques in corneal transplantation, premium intra-ocular lenses and lasers for cataract surgery, and advanced laser vision correction equipment are available to provide better than ever vision results – but these aren’t for everyone. I have enjoyed practicing in this era of unprecedented advancement in technology. 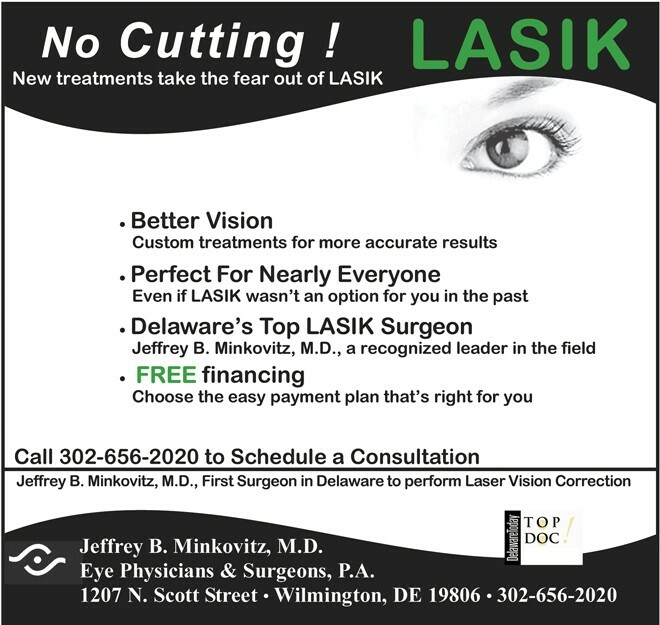 I have eagerly embraced evolution in being first to introduce numerous new eyecare modalities to Delaware- including laser vision correction in 1995, near vision CK for presbyopia, DSAEK partial thickness corneal transplants, and most recently laser cataract surgery just a few years ago. However, I have never lost “sight” of the importance of a careful analysis of new treatments, their efficacy and their safety, and the needs and goals of my individual patient. A prime example of this balance is Excimer Laser PRK, a radically new technology in refractive eye surgery when introduced in the early 1990s, which offered much more accuracy and safety than its predecessor Radial Keratotomy. Involved in the early research leading up to its FDA approval in 1995, I quickly moved to make this technique available to my Delaware patients. In fact, I initially brought these patients to Johns Hopkins’ Wilmer Eye Institute for treatment (my training institution) prior to laser availability in this state. Since that time, gradual evolution of that technique has enhanced convenience, safety and accuracy. Changes included LASIK (involving the cutting of flaps to hasten recovery and improve comfort), LASEK (using alcohol rather than flaps to prepare the surface of the eye), and epi-LASIK (which altogether avoids cutting of flaps, and instead gently and smoothly removes the outer layers, which then quickly regrow); all laser LASIK is another option, allowing faster recovery but somewhat greater risk in flap creation. It is only with careful and thoughtful conversation between surgeon and patient that the best treatment option can be determined. A more recent example is laser cataract surgery, the fantastic next step in the evolution of cataract removal and vision rehabilitation. This technique is far more accurate than standard cataract surgery, and also allows the reduction of astigmatism, thereby reducing dependence on glasses after surgery. Following FDA approval, my partners and I at the Center for Advanced Surgical Arts, obtained the first laser in Delaware (and one of the first 100 nationwide). While industry experts tout this as a revolutionary and important advancement, it definitely has its specific indications and roles. Once again, a careful evaluation by the surgeon well versed in ALL options and a willingness to explain those options to the patient is important in assuring the best outcome. While technology has provided wonderful new methods and tools to improve outcomes in ophthalmology, now more than ever, thorough understanding between patient and physician is vital to ensuring great and satisfying results. Next Story → Understanding 3T MRI!